We will never know what dinosaurs actually looked like, but we can imagine! These amazing mysterious creatures were our inspiration for the latest addition to our 2015 product line-up: R16035 Collage-A-Saurus! 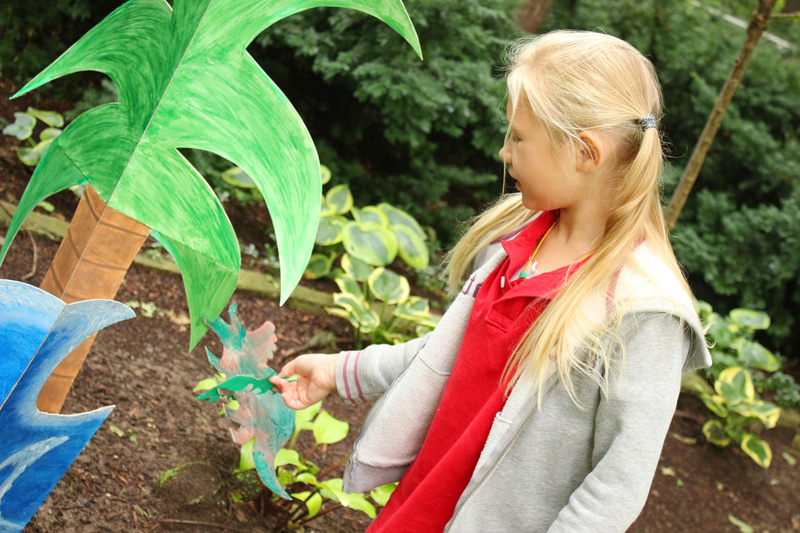 The card dinosaurs can be popped out of the flat sheet along with the accompanying stand, which is fashioned to look like a tree or jungle shrub. 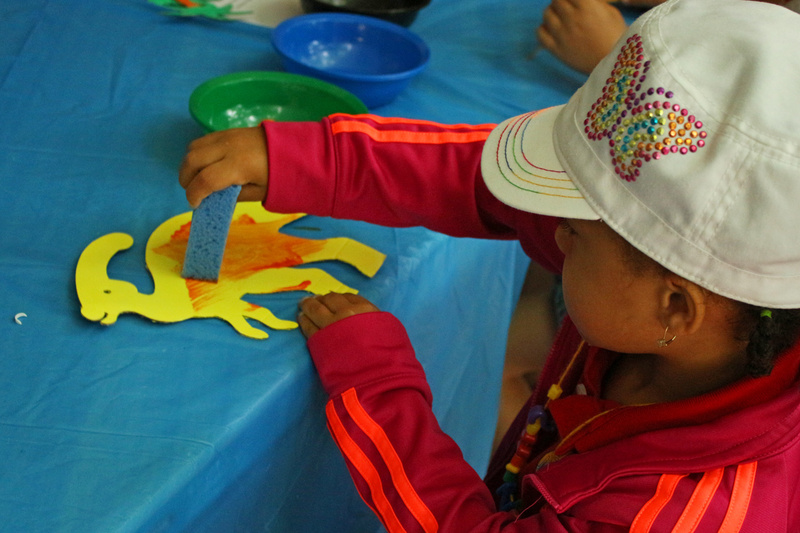 Paint the dinosaurs a flat color such as white, blue or pink and leave to dry. 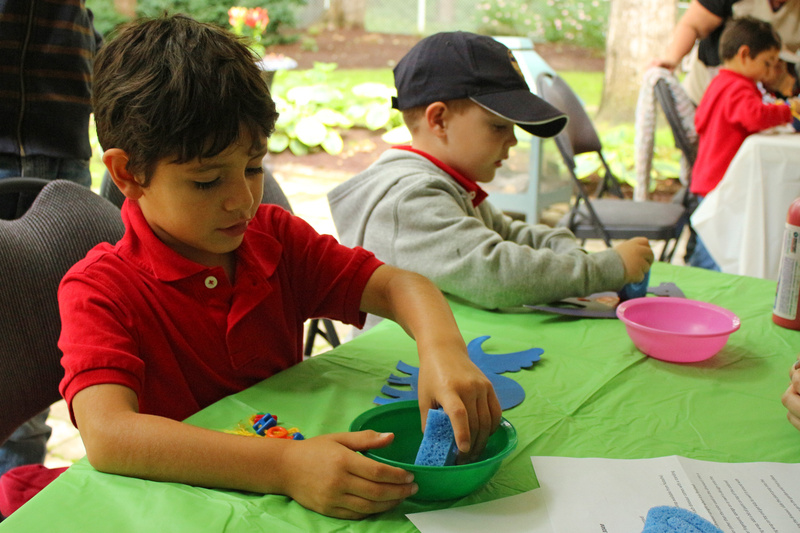 The fun part is getting students to add their own finishing touches to the dinosaurs using materials such as sponges, stamps and more! 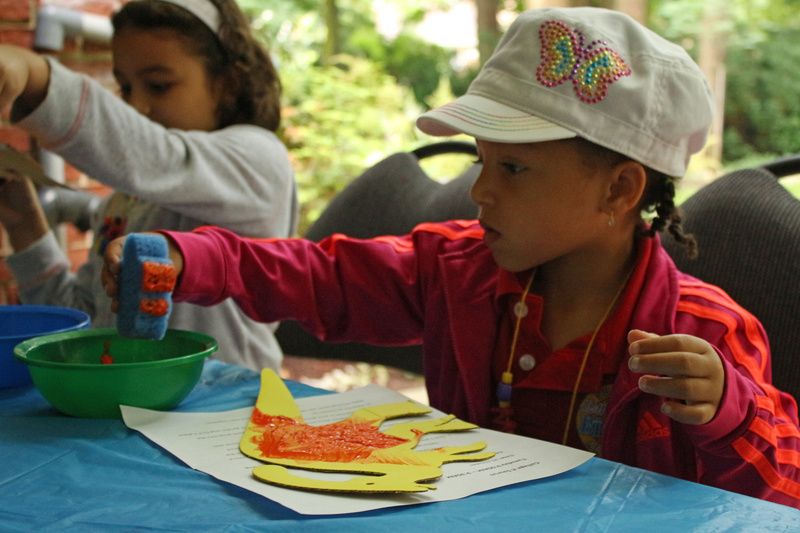 This art camper decided to use a sponge to create a blended orange pattern on this dinosaur’s body. 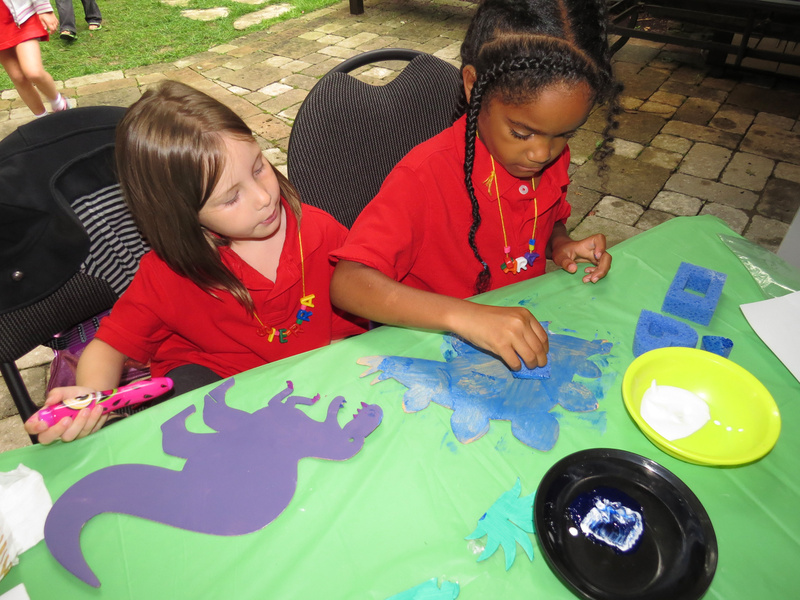 We used tempera paint to decorate the dinosaurs. Keep the paint in a bowl for easy access and less mess. 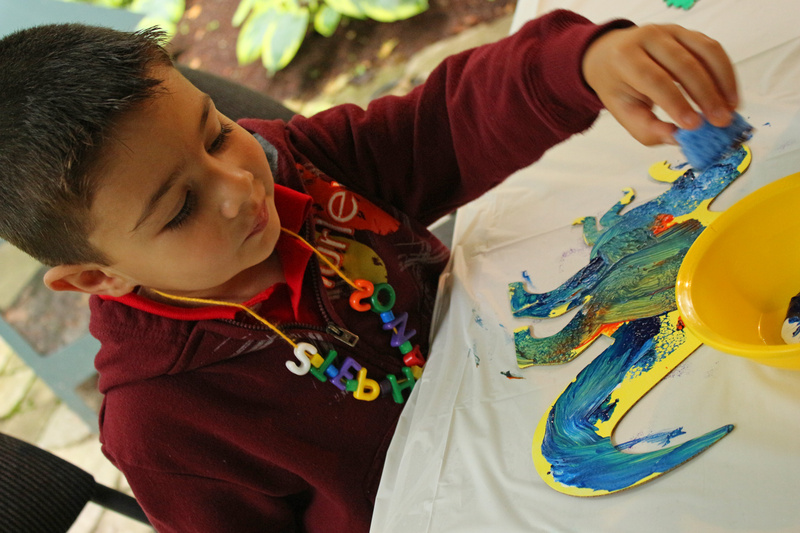 Everyone chose a contrasting color from the flat color their dinosaurs were painted. We talked about the significance of the word “contrast” when referring to color groups. Some students decided to mix and match the colors together, like this dinosaur who got a bit of blue-and-orange treatment. 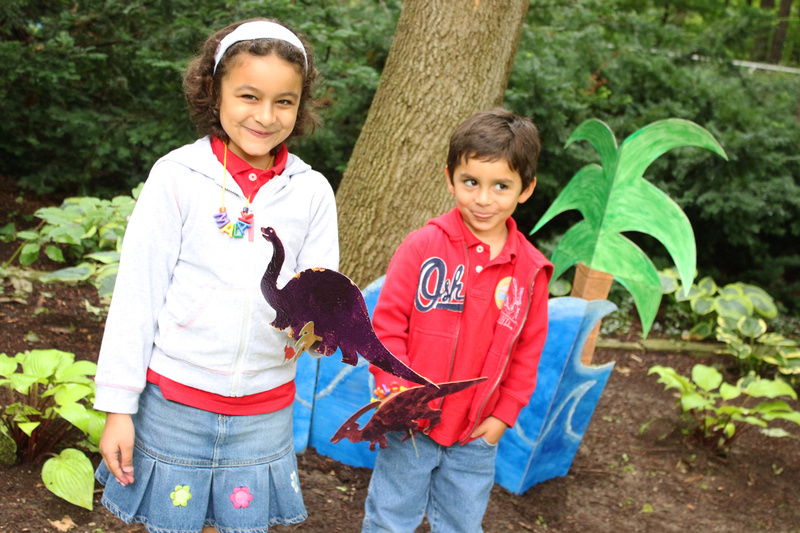 Once the paint dried, we took the dinosaurs to a walk by our tropical photo backdrop! We got some great photos of the outing!